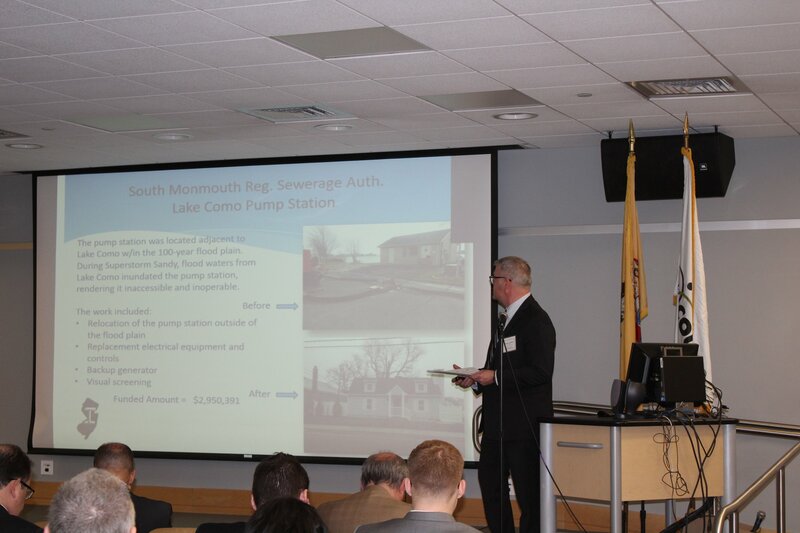 I-Bank and DEP held three seminars in 2019 throughout New Jersey to review important information related to the Water Bank. The Clean Water State Revolving Fund (CWSRF) and the Drinking Water State Revolving Fund (DWSRF) are federal-state partnerships that provide communities with permanent, independent sources of low-cost financing for a wide range of water infrastructure projects. The loan programs are administered jointly by the New Jersey Infrastructure Bank (I-Bank) and the New Jersey Department of Environmental Protection (DEP). Overview and updates to operational/application processes. The water financing programs administered jointly by I-Bank and DEP help JWW achieve its shared goals, including effective and financially sustainable systems. 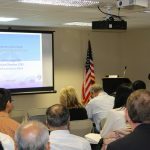 I-Bank and DEP’s presentation on water bank financing. 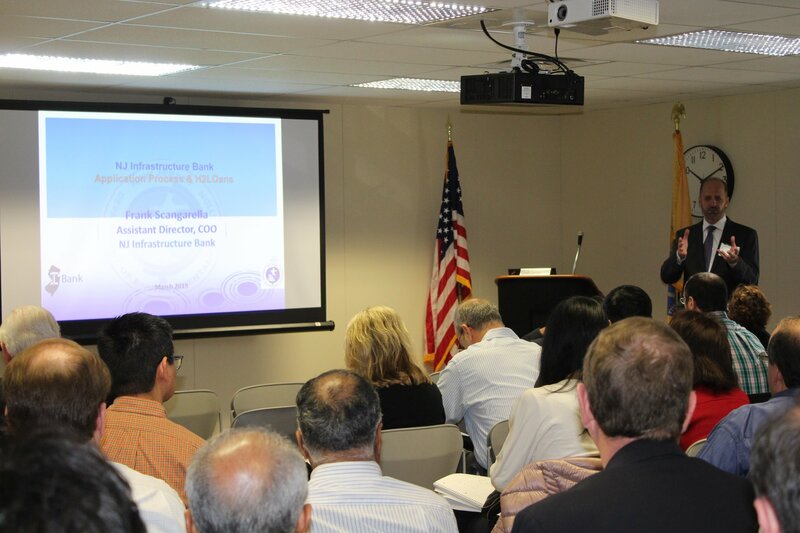 I-Bank’s water financing program informational brochure for fiscal year 2020. A new resource, Applicant’s Guide for Obtaining Water Bank Financing for Green Infrastructure Projects, walks prospective borrowers through the application process. Base program funding is now at a 50/50 split between I-Bank and DEP. Financing can be applied for the acquisition of low-performing utilities or for utility consolidation projects. The City of Newark is the first entity in the state to receive financing for lead service line replacement work. Asset management planning costs are eligible for financing only if the plan leads to the development and implementation of a capital project financed through the Water Bank. If an applicant is developing a new water system, there must be an asset management plan for that system, including demonstrated costs for operations and maintenance as well as replacement and renewal. The CWSRF has received state authorization to fund CSO reductions over a 45-year term loan. Financing for CSO Long-term Control Plans will be available in fiscal year 2020. Water meter projects are now funded through the CWSRF. The DWSRF program is experiencing increased demand and a shortage of funds. The project priority ranking system for 2020 will be affected by the shortage of funds, and the I-Bank strongly encourages applicants to call for information before contacting their local finance board if the project can only be completed with funding from DWSRF. The DWSRF is unlikely to be able to finance plans and designs through upfront loans, but can include these costs as part of the long-term loan when construction begins. The WISE calculator is available for potential applicants to assess the savings that would be realized through a loan, for the purposes of reporting to local finance boards and stakeholders. Rolling applications will continue to be accepted for both the CWSRF and the DWSRF; there are no application deadlines. H2LOans is an online platform that facilitates the year-round application process by providing a portal for application submissions, deadline tracking, and communications. I-Bank staff can also help project sponsors set up an account! Call Mary Pearsall at 609-219-8601. CSO projects utilizing green infrastructure are eligible for 50 percent principal forgiveness, 25 percent DEP interest-free financing and 25 percent I-Bank market rate financing for up to $3 million of project costs. 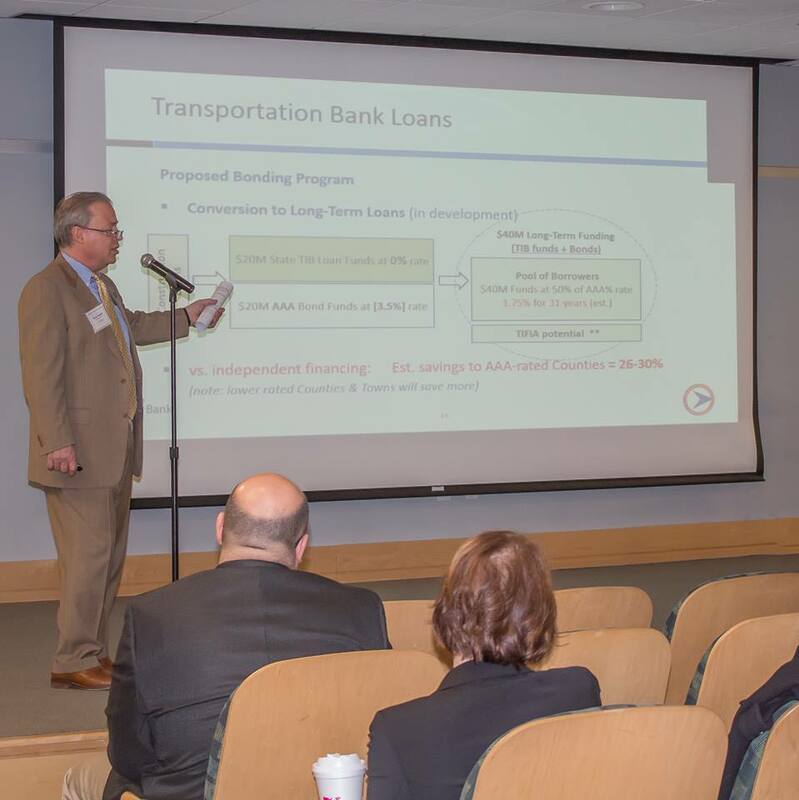 Costs over $3 million are funded at 75 percent interest-free DEP funds and 25 percent I-Bank market rate funds. 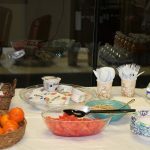 Costs over $10 million will be financed at 50 percent DEP interest-free funds and 25 percent I-Bank market rate funds. CSO abatement projects are eligible for up to 50 percent principal forgiveness, 25 percent DEP interest-free and 25 percent I-Bank market financing. There is a $1M cap of principal forgiveness per applicant. Projects costs between $2M and $10M will be funded at 75 percent interest-free DEP financing and I-Bank funding at market rate. 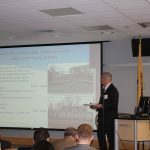 Stormwater and non-point source projects in the Barnegat Bay watershed are eligible for 50 percent principal forgiveness, 25 percent DEP interest-free financing, and 25 percent I-Bank market rate financing for the first $2 million. Remaining costs are financed equally with interest-free DEP funds and I-Bank market rate funds. Clean water systems serving 10,000 or fewer customers are eligible for 100 percent principal forgiveness up to $100,000 for the development and implementation of asset management programs that lead to a capital project of at least $250,000 financed through the Water Bank. 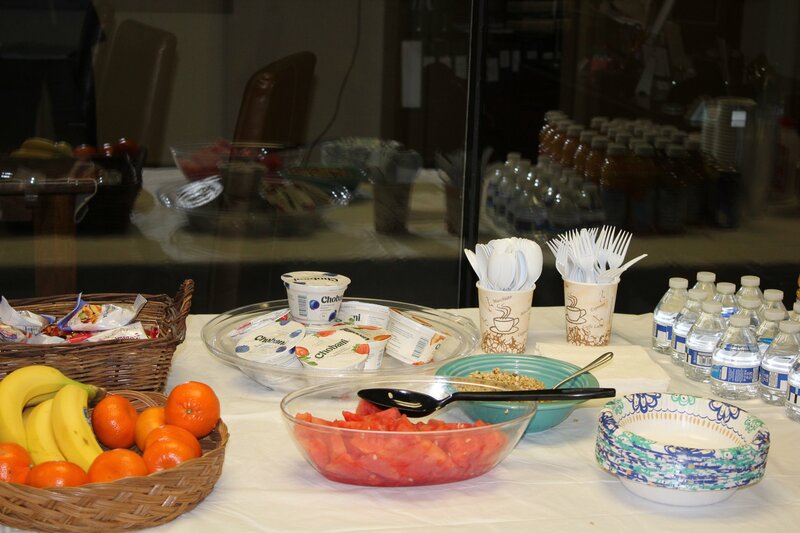 Drinking water systems in communities with LSLR projects whose median household income (MHI) is less than the MHI of the surrounding county are eligible for 90 percent principal forgiveness, with the remaining 10 percent offered as a DEP interest-free loan. There is a $1 million, $5 million or $10 million cap for systems with 10,000 or fewer customers, between 10,001 and 100,000 customers, or more than 100,000 customers, respectively. I-Bank emphasizes that lead service line replacement projects are only eligible for principal forgiveness if the entire line is being replaced. Small drinking water systems serving fewer than 10,000 customers will receive 50 percent interest-free DEP funds and 25 percent I-Bank market-rate funds for first $1 million of project financing. Nano loan applicants should keep an eye on the project priority ranking to determine whether funding for their project is feasible.